Rooftop bars were the buzzword of 2017 and our prediction is that welcoming neighbourhood precincts will be the trend of 2018—and beyond! 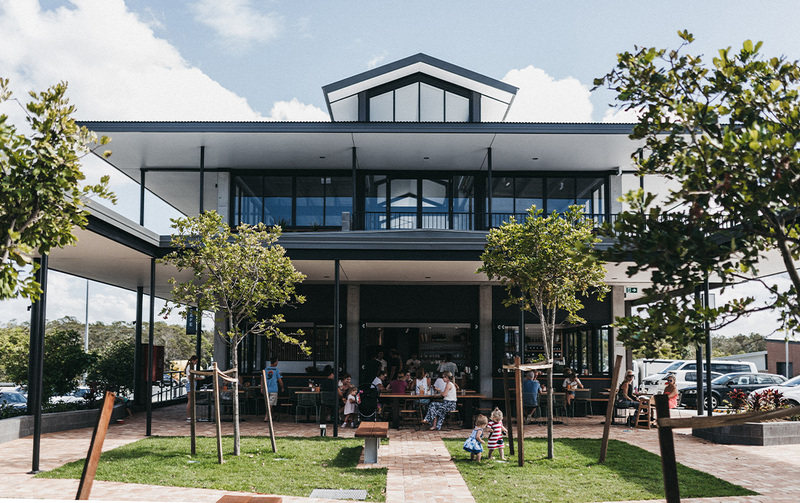 Following the recent launch of the thoughtful Cornerstone development in Tugun/Currumbin earlier this year, our southern neighbours are the lucky recipients of yet another cool collective gathering space—The Commons Casuarina. 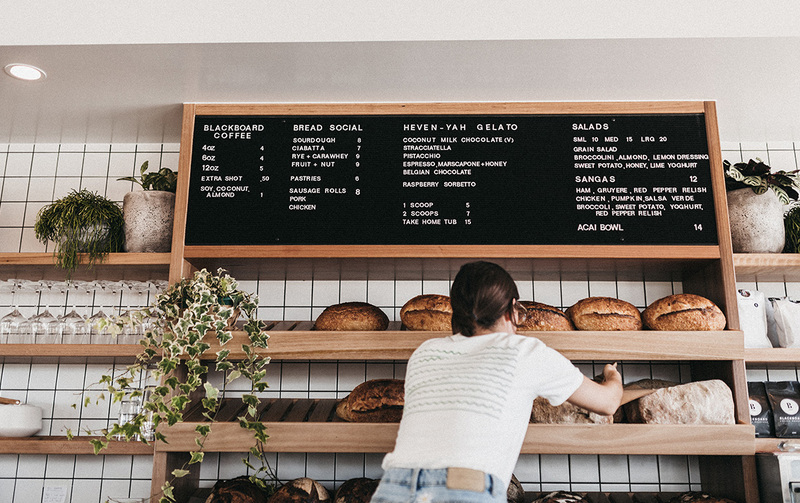 While a few vendors are yet to open their doors, The Commons Casuarina is already a humming hive of community spirit and totally worth jumping in the car to check out this weekend. While the drive through the rolling country farmland en route to this beachside village will quickly evoke those calming rural vibes, it’s the fresh, salty air and laidback exuberance of the locals that’ll make you wish this multifaceted, eco-friendly retail hangout was down the road from your place. With the owners of Blackboard Coffee Roasters backing the cafe component of The Commons, you know you’re in for a treat. Proud residents to the area themselves, it is little wonder this team grabbed the opportunity to bring the breakfast dates and caffeinated liquid goods to their new local. All delivered with relaxed yet attentive service in a sun-drenched and texture-filled setting, Tucker has your all-day weekend brunching nosh covered. Think: healthy potato rosti benedict, Green Eggs served with poachies and seasonal greens, daily salads and more. Or, for lunch, Balter beer-battered Mahi Mahi and chips or rigantoni pasta with pan-fried local king and oyster mushrooms are early favourites. The best news? They’re licensed from 10am so no one will bat an eye if you order a Blackboard espresso martini, Bloody Mary or Ink G&T with your plum and fig buttermilk hotcakes, ‘cause it’s five o’clock somewhere, riiight? Add to that, amaze-balls daily dessert creations from the ladies at Heven-Yah Gelato, freshly baked loaves from The Bread Social, regional farm-sourced produce, Marloe Marloe ceramic table wear and those much-loved Blackboard brews, and you’ve got the recipe for cafe success, if ever we smelt it. Casuarina has a new home for craft beer lovers and carnivores—aptly named The Crafty Cow. Here you’ll find meats slow-cooking onsite in a competition-quality meat smoker…yes, the saliva-inducing smells waft for blocks. 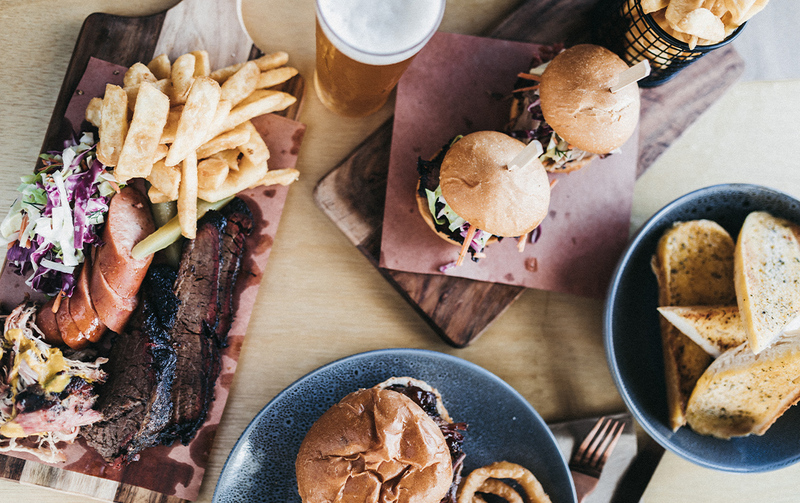 Come for the Carnivore Platter with 12-hour wood smoked brisket, pulled pork and smoked cransky served with housemade slaw and beer-battered chips. Or, wrap your mouth around the finger-licking smoked brisket sandwich, BBQ sliders or wings with blue cheese. But your food expedition doesn’t end there! Casuarina’s new smokehouse also serves up moreish bar snacks to go alongside your craft beer—Balter, Black Hops, Stone & Wood, Young Henrys and more—like onion rings, generous cheese platters or prawn chicken nibbles. Just make sure you undo that top button when ordering the house-made peanut butter cheesecake to finish (or start, we won’t judge). There are also teasers for themed rib and chicken wing nights…we’re already drooling. Once you’ve devoured your brunch, it would be a disservice not to indulge in some retail therapy at the Commons’ new boutique, Nikkou. The handiwork of uber stylish local lass Tiffany Cooper, Nikkou celebrates femininity through quality designer fashion, accessories and homewares. Perfect for the mindful, modern woman and her equally fashionable babe. Between white walls with blush pink accents, get your shop on and you’ll be divvying up your wardrobe space among Australian favourites and local up-and-comers who you really oughta know. Expect Zulu & Zephyr swimwear and winter knits, Brie Leon accessories, Velvet Canyon sunnies and luxe Estilo Emporio jumpsuits, to name a few. Love locally crafted ceramics, linen homewares or organic baby threads and toys? 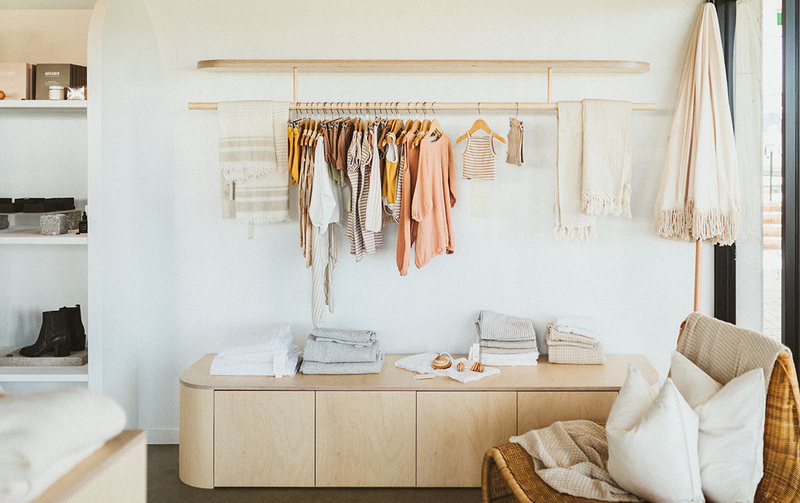 Scoot into this dreamy boutique and you’ll struggle to come out empty handed. To complete the one-stop community hub, The Commons is already home to an F45 gym (so you can work off that Crafty Cow cheesecake), various medical practitioners, Kool Kids The Commons childcare facility, soon-to-open Minogue Hairdressing and a vegan takeout. There are even plans for a florist plus yoga and Pilates studio in the near future. If you didn’t already dream about calling this magical part of the world your hood, you will now. Heads up— if you’re hitting the M1 to Casuarina, make sure you take the short five-minute detour to Cudgen’s Farm & Co. Stock up on all the fresh produce and get those ‘gramworthy sunflower selfies. Sounds like the perfect weekend excursion to us! While you're in the area, check out some of these local farms.